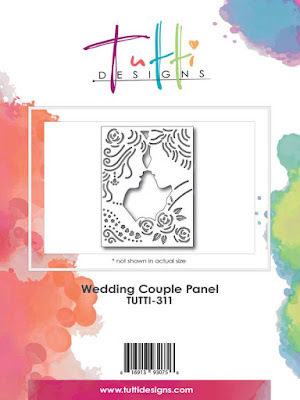 Tutti Designs Couple Panel die for this card. Below is the die cut of the Couple Panel die without cutting the edges that I did for this card to fit the Sue Wilson Designs background frame die. 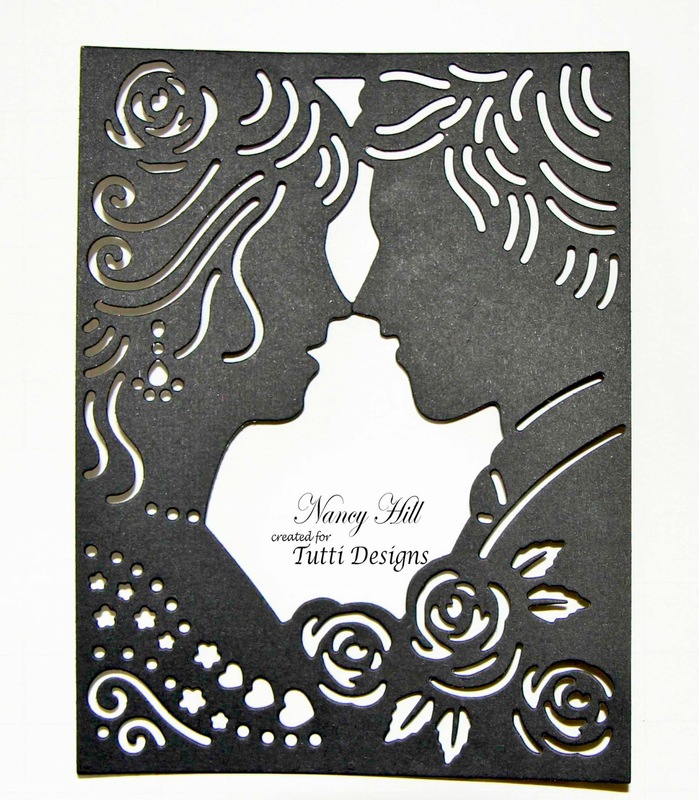 I used NUVO Crystal Drops for the roses and center of the roses. I used rhinestones for the earrings. I added a white bow for the card. WOW! 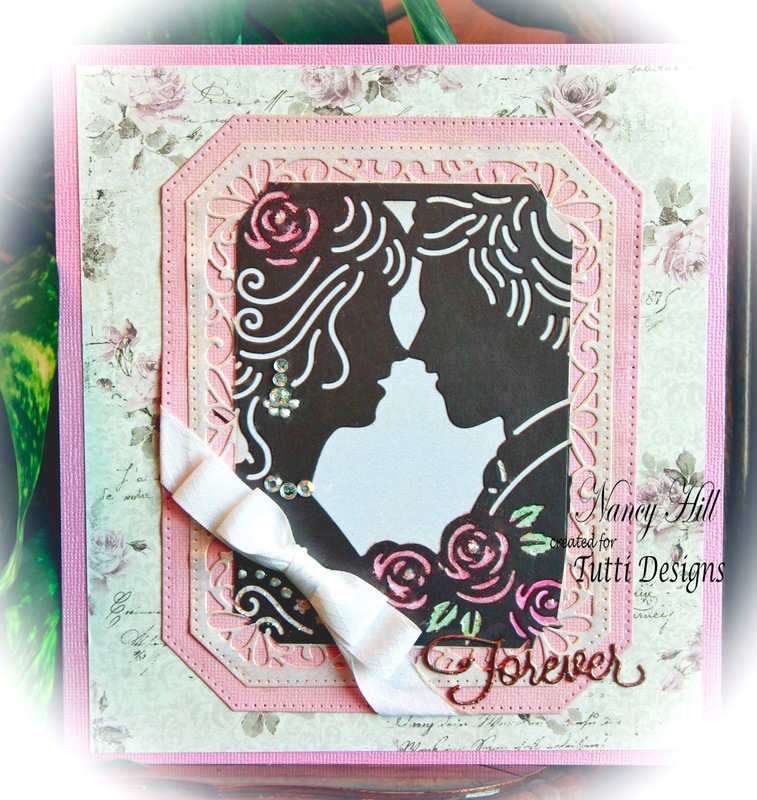 What a gorgeous creation using this couples die! And, fabulous inspiration ... thanks Nancy!